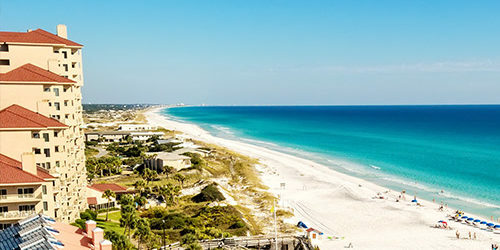 Florida is one of the top gay-friendly vacation destinations in the entire world with good reason. 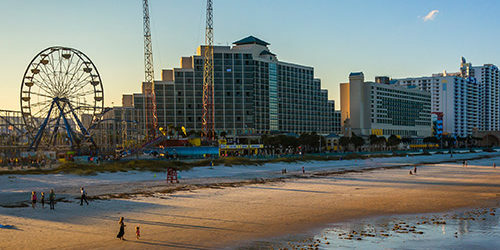 With endless sun and sand, plus a welcoming atmosphere in some of the most popular party cities, there’s plenty of reason to visit the Sunshine State. 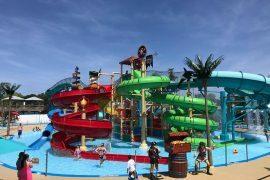 Eclectic attractions dot the coasts and in the middle of the state you’ll find a bevy of beloved theme parks. High-end shopping, balmy temps, and pounding nightlife prove there’s something from everyone here, especially the LGBTQ community! 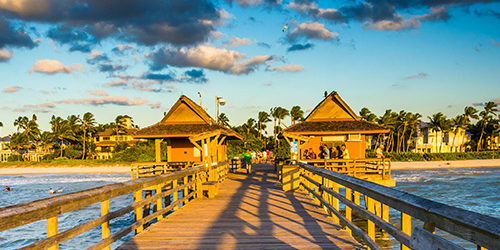 From party destinations to laid-back beaches, read our list to find your new favorite gay Florida vacation spot. 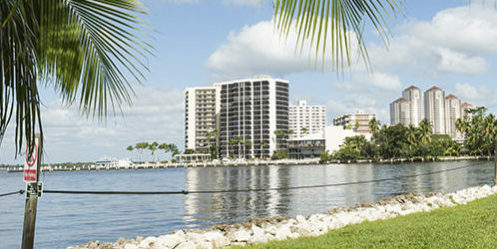 And when you’re ready to book, find a place on Floridarentals.com that’s perfect for you and your group! Miami is one of the oldest destinations for gays in the entire state. High end shopping, the finest of dining, and dazzling turquoise waters are synonymous with Miami Beach. With all due respect to NYC, this city never sleeps either. Try to time your visit in March so you can attend the Winter Party, the biggest gay beach party in North America! 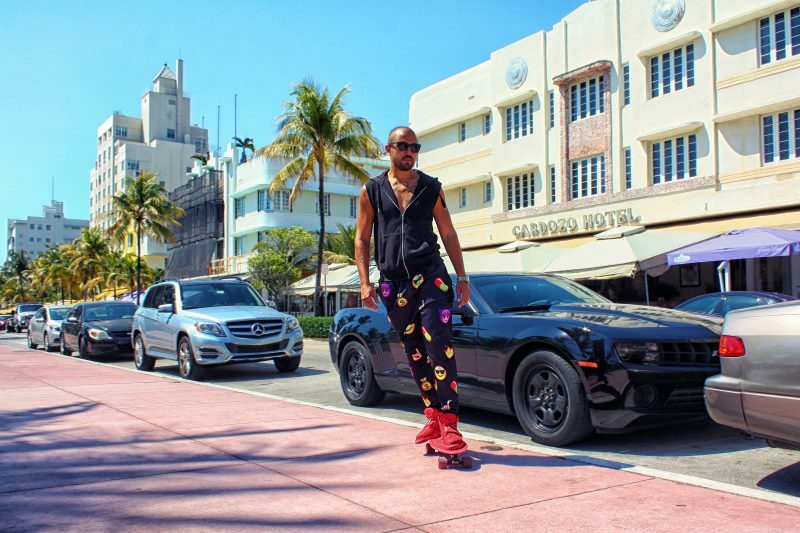 Miami Beach is a playground for the buff with the wonderful Art-Deco architecture to tour, and also downtown Miami which has a burgeoning art scene. Look through the galleries in the Miami Design District offering 18-city-blocks of showrooms and trendy restaurants. There are positive changes happening recently, too. In January 2010, The City of Miami Beach passed Florida’s most progressive human rights law, which included the creation of a city Human Rights Commission. As a result, Miami Beach now has one of the strongest human rights measures in the United States. It opened the country’s first LGBT Visitors Center at the corner of 11th Street and Washington Avenue as a resource for gay travelers. The city’s legendary White Party Week in November is the nation’s oldest and largest HIV/AIDS fundraiser, drawing more than 10,000 gay and lesbian visitors. 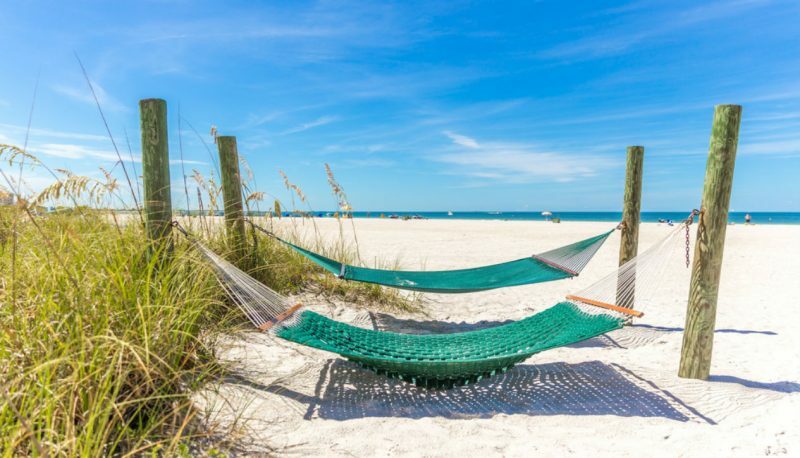 St. Petersburg, which glimmers between the Gulf of Mexico and Tampa Bay, is known for its warm weather and for holding the title of “most consecutive days with sunshine” at 768 days. Downtown St. Petersburg is the city’s heart, home to great shopping, restaurants, bars and attractions. St. Petersburg throws the largest Gay Pride Parade in the southeast (over 100,000 marchers). The LGBTQ Welcome Center reopened last month with a new focus on tourism, as well as on helping LGBTQ youth. The heart of GLBT St. Pete is the historic Grand Central District and its adjacent gayborhood of Kenwood, with its streets lined with Craftsmen-style cottages from the 1920s. Grand Center’s commercial district features more than 70 GLBT-friendly businesses, including antique stores, home décor galleries, salons, boutiques, bars and restaurants. St. Pete is a much calmer choice than the party atmosphere of Miami. Stroll along the southern end of St. Pete Bach through the Pass-a-Grille area that stretches 22 blocks where the gay community hangs out. The charming island is also known for its white sand, pink shells, and humble attitude. 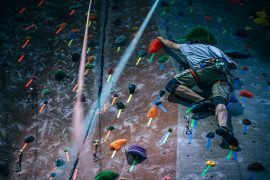 Tampa and nearby Ybor City provide a ton of fun and entertainment for the LGBTQ community. The GaYbor District is a coalition of gay-friendly businesses on the west end of Ybor City and this 12-block area is widely known as the best place for gay tourism on the west coast of Florida. There’s also the Tampa Gay and Lesbian Film Festival which is one of the country’s longest-running gay film festivals. Like the rest of Ybor City, GaYbor has a thriving night life, pumped up by dance music at Seventh Avenue hot spots, such as Honeypot. Among the district’s many restaurants, Hamburger Mary’s is loudest and proudest, with dinner-time drag shows, drag queen bingo and cabarets. If you’re visiting in December, check out the Santa Speedo and Mrs. Claus in Bras Run, a light-hearted, Christmas-themed, one-mile fun run and AIDS benefit through Ybor City’s holiday decorations. Fort Lauderdale is all about the beach. Fort Lauderdale Beach, in particular, welcomes thousands of sun-hungry visitors every single day. They keep coming back for the sugar white sands, warm blue waters, and plenty of space to spread your blanket. A second favorite spot for sun is Las Olas Beach, which has classic Florida palm trees. 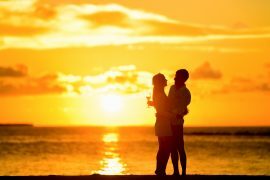 The most popular gay beach in Fort Lauderdale is across the street from the Ritz-Carlton and within blocks of some of the city’s gay vacation rental areas. Fort Lauderdale is home to the Stonewall National Museum & Archives, which houses the largest circulating LGBT book and film program in the U.S. Last year, the city welcomed 1.1 million LGBT visitors. In January 2011, Fort Lauderdale was named Best Beach in the World by OMG magazine and chosen as Best Destination by Amazing Gay Awards. The city has more than 100 gay-owned businesses, including bars and clubs, cafes and coffeehouses, and award-winning hotels and vacation rentals. It’s easy to see why Fort Lauderdale has one of the highest per-capita lesbian and gay populations in the country. Relaxing, laid-back Key West calls to beach bums who prefer their landscape pristine and untouched. Key West is famous for watersports, nightlife, beaches and historic sites. Located closer to Cuba than to Miami, Key West offers endless Latin and Cuban cultural influences from the cuisine to the music and art. 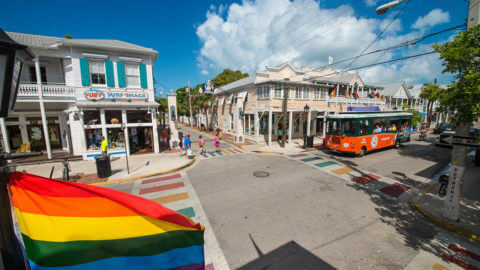 Gay transplants have been relocating and vacationing in the island paradise of Key West since the 1970s, with gay and lesbian vacation rentals proliferating to meet the demand. 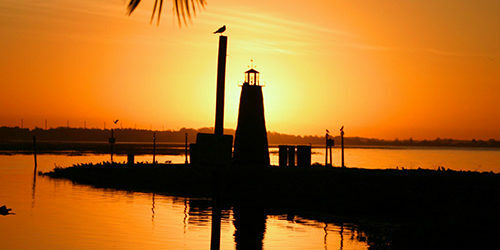 The fun-loving southernmost city is selected repeatedly as “Best Gay Resort Town” by readers of Out Traveler magazine. 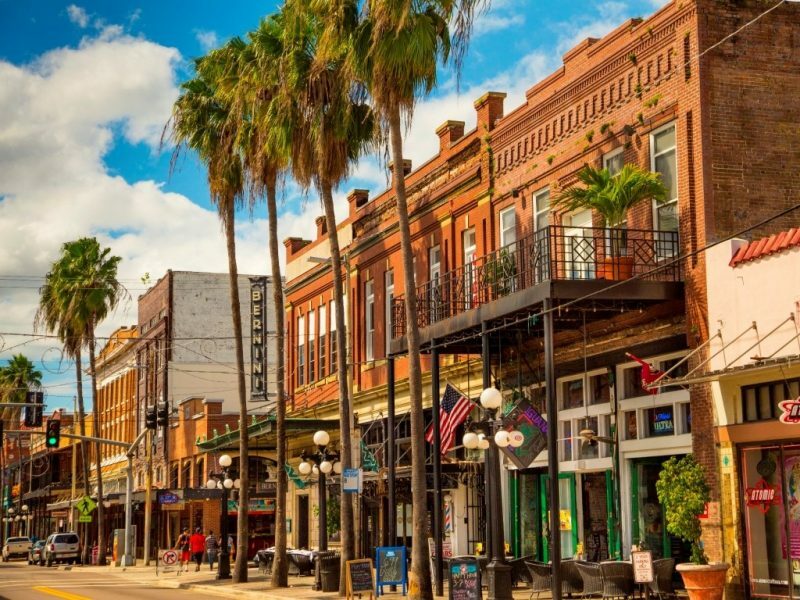 Along with shops and boutiques, you’ll find most of the town’s gay bars along walkable Duval Street, including Aqua Nightclub and 801 Bourban Bar, with their fun drag shows. Time your visit for Pridefest in June for a week of events that include home tours, sunset sailing and a two-day street festival. WomenFest, held each September, draws lesbians of all ages for a week of beach parties, snorkeling cruises, competitive bull riding and galas.